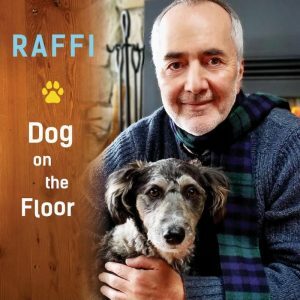 It’s hard to believe that with the July 27th debut of Dog on the Floor, Raffi released his 25th album, but at 70 years young, that is exactly what he did. Listening to a Raffi album makes you feel like you are wrapped up in a blanket warm from the dryer on a cold, rainy day and this album is no exception. From beginning to end it is filled with love. Love for nature, love for each other and love for oneself. Other songs in this 15-track collection include “Market Day” and “Play Play Play” which are filled with lots of repetition to encourage listeners to sing along, a gorgeous version of the Beatles tune “Here Comes the Sun” which will enthrall children and adults alike, the fantastic stringed instrument jam, “Fiddle Dance” and the lovely “Rainbow” which starts with the soft, smooth singing of the line “I’ve been working on the railroad” that moves on to ask, when will my rainbow find me. Raffi wraps up the album with two songs that directly address the needs of our children. The first is “Take a Breath” an important song reminding children (and the grown ups around them) that when we’re not doing fine and we want to be well, take a breath or two, be still, sing a song or two, and soon you will feel better. The bonus track uses the phrase “It takes a village” for it’s title and refrain and is a beautiful, gentle reminder that we are all (parents, teachers, librarians, neighbors) responsible for fostering future generations who will love and care for the earth and others. It’s amazing that four decades into a career a musician is able to still produce songs that are entertaining, impactful and sure to be pleasing audiences for generations to come, but Raffi is doing just that. Another beautiful album for all to enjoy! Get Ready to Explore Dana’s Music Playground!